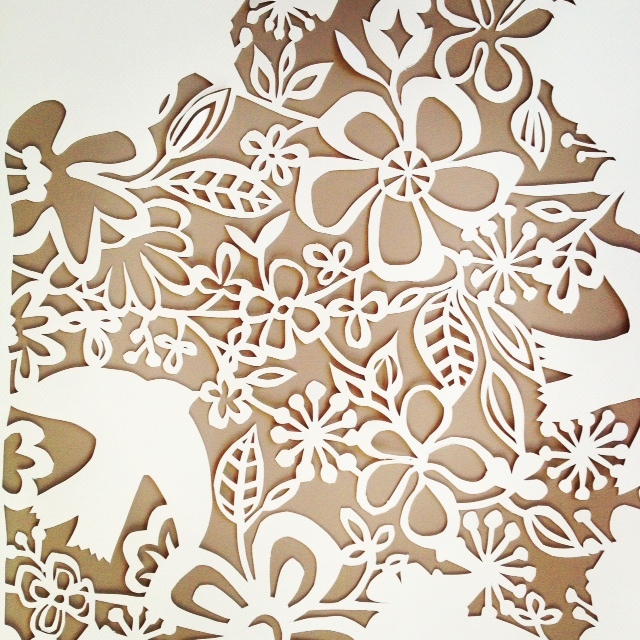 I am happy to announce that my large-scale papercut art is almost done! 19" by 25". I am really happy with it. I can see myself using alot of the shapes and patterns in my surface patterns.That's next weeks post:) I am still undecided on my finishing touches. 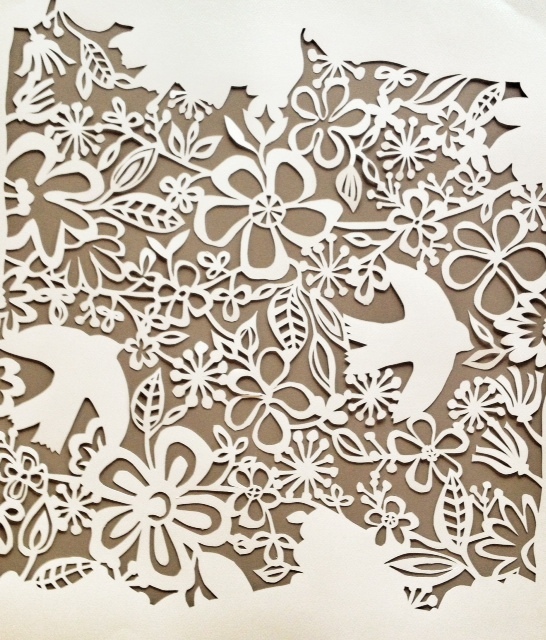 There is quite a bit of detailed cutting I can do.I am debating whether to leave the birds as white space or more detailed. I am also considering leaving more white space around the edges.I think I will for now until I decide how to frame this. I quite like the white space leading into the intricate cuts. 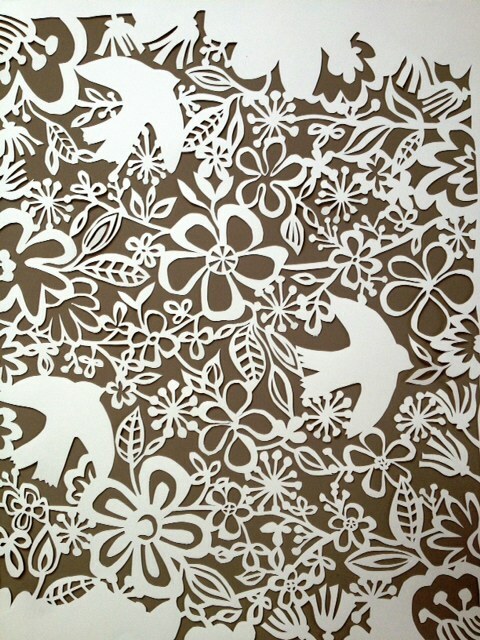 I have found this great new paper by Canson Studio called Mi- Tientes Touch. It's beautifully textured pastel paper and comes in a great palette of colors, perfect for placing behind papercut art. My next step is to find a unique way to frame or display this. I am going to have to protect the paper so thinking a plexiglass type box. However, I would also like it to be very organic, so thinking wood and airplane wire. Hmmm...a visit to Pinterest may be in order. I know I will find some inspiration there. Any suggestions? Thank you for all your kind words and encouragement on Facebook when I posted this on my page. I always appreciate the support and encouragement I find there. March break begins today.Yay! We woke up to 30 com of snow yesterday! Just when you think it's the beginning of the end, it all starts again.Whistler is hopping! Enjoy your weekend!